The BASTA SOLE® Aluminum Tilting Umbrella combines the ruggedness of aluminum, the utilitarian need for adjustable shade, and the gracefulness of tradition. The pole comes in anodized aluminum finish and tops are available in a wide array of Tropitone® Fabrics to match or coordinate with Tropitone® seating pieces. 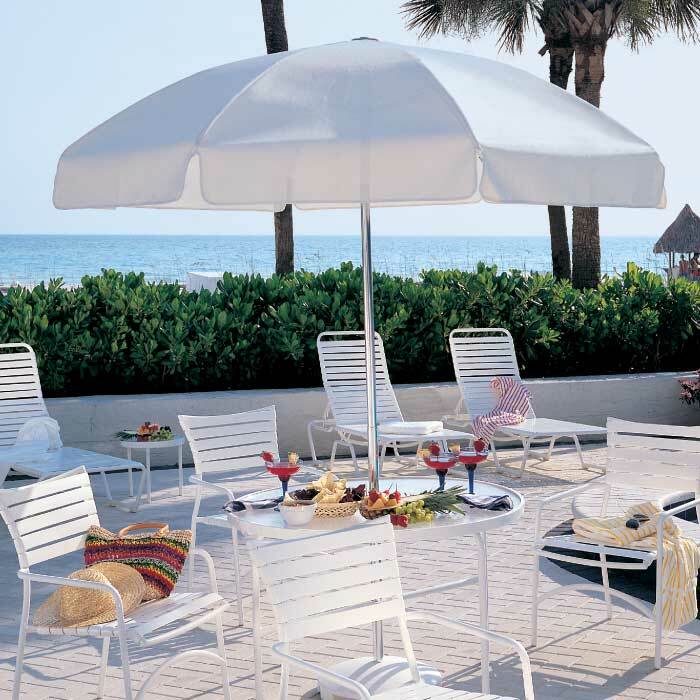 Choose from a variety of available umbrella bases to complete the outdoor setting.